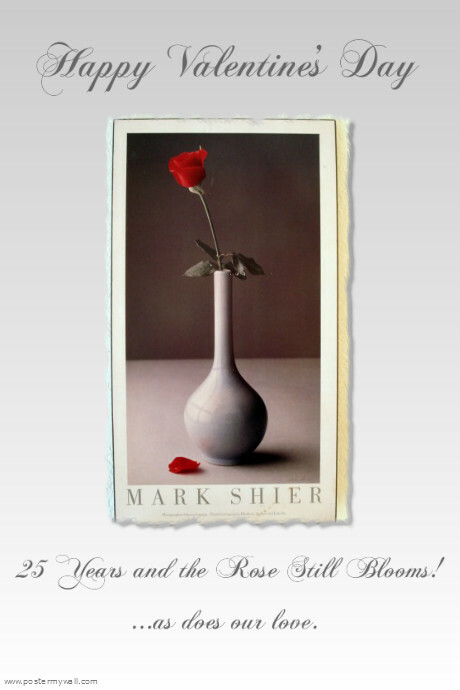 Rose Blooms for 25 Years! Well, it’s not really a scientific breakthrough but I do have a red rose whose bloom will last forever. 25 years ago I met a great guy in college. We couldn’t have been more opposite (he was an EECS major and I was a Rhetoric major). On our first Valentine together my romantic engineering boyfriend gave me single red rose BUT this rose was different. It was a poster of a red rose because as he put it… ”Real roses die. This one will last forever.” It’s true…my single red rose lives. Now I can share this special Valentine poster with the same rose my college sweetheart gave me 25 years ago and who I’ve been happily married to for 22 years. Feb 3 A Valentine Gift to Show Your Love Each and Every Day! Jan 17 Print Flyers for your SuperBowl Party! Oct 14 Make great Homecoming Poster Collages! Feb 22 Make a Sports Collage - Get 25% OFF!